Need: Creative Journeys is an innovative and exciting project led by Essex County Council (ECC) Culture & Community Engagement team exploring the role of arts and culture in care settings and how they develop and maintain relationships between older people, care staff and the wider community. Research funding from Arts Council England for £125,000 enabled ECC to deliver the programme with Anglia Ruskin University, focusing on older people who live in care homes across eight venues, involving four innovative cultural organisations (Age Exchange, Magic Me, Orchestras Live with Sinfonia Viva, and Green Candle Dance Company). Loneliness and social isolation have a negative impact on wellbeing and quality of life and despite the proximity of others, older people living in care settings often experience loneliness. Nurturing social relationships is key to tackling loneliness and social isolation and Creative Journeys is exploring how arts activities encourage relationships to flourish in care settings and their surrounding community. Currently one fifth of Essex’s population is over 65 and is projected to increase by a third by 2030. Creative Journeys is crucial to understanding how we can maintain meaningful relationships with each other and within our communities as our population ages. Communication: The project has been communicated extensively, from care supplements in local newspapers to social media and press releases for various events associated with the project. Engagement: By delivering quality arts provision in Essex care homes, residents have formed new friendships, often having not been acquainted with people in their own home due to being on different floors etc. Residents and staff relationships improved, with carers seeing residents in a new light as a result of collaborative arts activities. Relatives of residents got to know a different side to their loved ones with residents sharing details of the arts activities and their experiences with visitors. Residents engaged with their communities at various events, including as performers alongside world class orchestra Sinfonia Viva at a community centre in Brentwood, whilst participants of the intergenerational work with Magic Me visited the school they partnered with as part of a sharing event. Impact: Evaluated by Anglia Ruskin University, findings have shown that the project has impacted positively on residents, staff and relatives, strengthening relationships and breaking down boundaries between those living in care homes and the wider community, proving that the arts have unique qualities that engage residents and enable them to express themselves creatively and make meaningful contributions to their relationships and their communities. 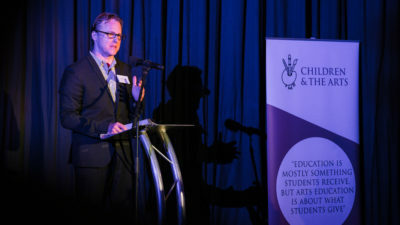 Other outcomes have included ECC’s Quality and Innovation team commissioning the arts organisations to deliver creative workshops with care home Activity Coordinators, as well as sharing the learning, materials and inspiration with others in the sector through two practical seminars. The Brentwood Health and Wellbeing Board commissioned Green Candle Dance to work with residents in sheltered accommodation. 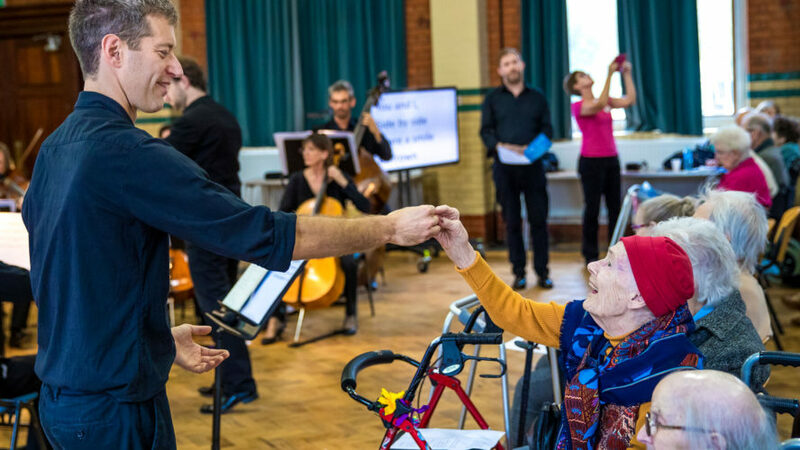 Orchestras Live produced a music strand with Sinfonia Viva which saw older people from four care homes creating and performing songs for a public concert in which they were the stars! The arts organisations involved in the project have formed closer worker relationships and are now looking at collaborating on an ambitious long-term programme that will use cross-artform activity as the basis for the creative day care provision in several parts of Essex.